Dragon Eggs — Moey Inc.
We developed and built three interactive dragon eggs for a national promotional tour of the teen adventure series, Eragon. Each novel describes the three dragon eggs in detail, including the unique tones they emit when touched. From these descriptions, we developed each egg's unique tone, then installed audio outputs inside the touch-sensitive polymer shells, which we designed and cast. 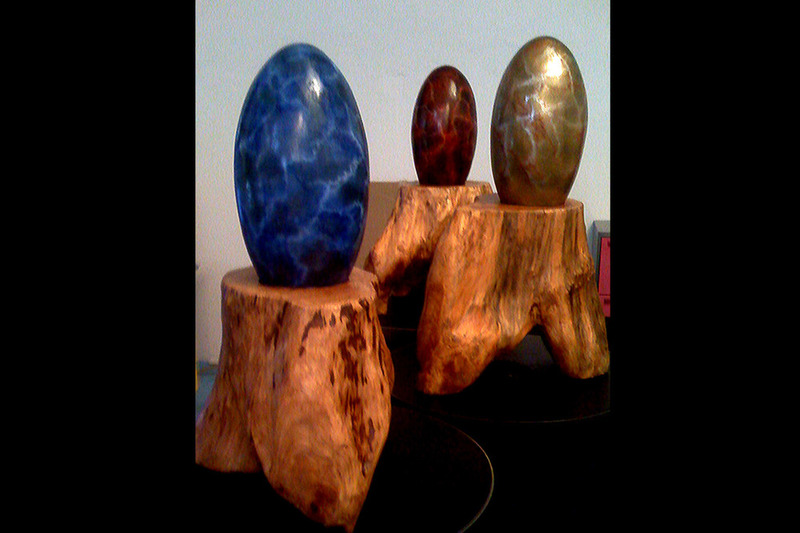 Then we custom-painted the two-foot tall eggs and placed them on hand-crafted wooden bases. From the characteristics of the eggs, participants at the tour could then enter an online contest by deducing which egg they had seen (and heard).